The Torah: No Contest – Why the Argument Over Genesis? One doesn’t have to be religious to know that a great controversy surrounds the first chapter in the Bible. The way it is written seems to suggest that the whole universe, including the Earth and all life, was made by God in just six days. Some Protestant Christians insist on taking this literally. Genealogies in succeeding chapters are then supposed to lead us to the conclusion that all this happened 10,000 years ago, more or less. This creationist viewpoint has been forcefully asserted, especially during the latter part of the 20th century, and the media have been very effective in reporting it. There is, therefore, a general sense among the biblically illiterate general public (and even many Christians) that the majority of Christians have always held such a view. This is not the case. Today, there are numerous religious books about the Genesis Creation written by evangelical or fundamentalist scientists who ridicule evolution and rewrite geological history, meanwhile demanding that the Genesis accounts can be interpreted only and wholly literally. Wedded to a particular paradigm, they fail to consider carefully what type of literature it is, why it was written, who the audience was, and what were the historical/cultural and religious settings in which Genesis was written. The fact is, a literal interpretation of Genesis 1 has nothing to do with science, and it is poor theology to suggest it does. “Young earth” creationists have overlooked the first principles of exegesis. Exegesis is the systematic study of Scripture to discover the original, intended meaning. Compare the order of deities with that of the celestial bodies in Genesis 1:16, in which the order is deliberately reversed. When exegesis is done properly, Genesis 1 is seen for what it is — a literary masterpiece, an intelligent, carefully crafted assertion of monotheism against polytheism (many gods), a matter of great significance for the people who were alive when Genesis 1 was written. Many chapters of the Old Testament record how the people of Israel preferred to “go whoring after other gods” than follow the one true God. A cosmogony is a story of the genesis or development of the universe and the creation of the world, whereas cosmology is strictly a formal branch of philosophy dealing with the origin and general structure of the universe. 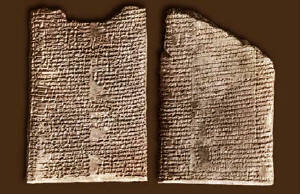 We know what the commonest pagan cosmogonies were because they are preserved in cuneiform script on clay tablets. describes a struggle between cosmic order and cosmic chaos. There are great sea monsters, and the chief divinities, in order of pre-eminence, are the stars, the moon, and the sun. Other gods abound in the cosmogonies — gods of darkness, water, vegetation, various animals, and so on. The Enuma Elish and earlier cosmogonies help us understand why the Genesis account is written as it is. As one archaeologist has written, Genesis freely uses the metaphors and symbolism drawn from a common cultural pool to assert its own theology about God. Most of the verses in the chapter hinge upon the next statement, in verse 2: “The earth was without form and void, and darkness was upon the face of the deep.” The following verses explain how God respectively structured and “filled” the conditions of formlessness and emptiness. The six days are arranged in two parallel sets of three (noted as early as Augustine in his City of God), such that what is created on days four through six populates the appropriate realm structured in days one through three. historical account (with God resting on the seventh day). The fact of God’s creative authority over everything is certainly intended literally, but the seven-day framework is just that — a framework. divinities to be petitioned, appeased, or pacified. 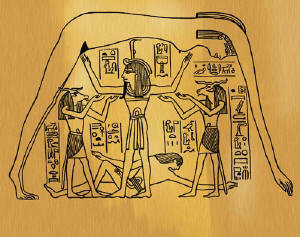 From the Egyptian book of the dead, the god Shu separates Nut (the sky) from Geb (the earth). attributed natural phenomena, or calamities like earthquakes, volcanic eruptions and tsunamis, to gods who were beyond understanding (except by a priestly elite) and had to be appeased and not questioned. Genesis 1, on the other hand, asserts that there are no gods but God and that his creation is comprehensible and amenable to investigation. This perspective made possible the scientific study of nature. deities — are barely mentioned in a throw-away line: “He made the stars also”! Not only that, Genesis 1 makes it plain that they are not to be worshipped; they were made to serve — daily, seasonally, and calendrically. And none is accorded astrological significance. mythologies. The Hebrew God has no competitor and there is no cosmic battle going on. Everything is under control. For more information, see our three interviews with Dr. Gordon. polytheistic concepts encountered by the Israelites in their old land as well as in their new. Blocher, H., and R. Preston. 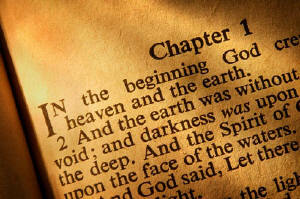 In the Beginning: The Opening Chapters of Genesis. InterVarsity Press, 1984. 240 pages. Gibson, J.C. Genesis (volume 1). The Daily Bible Study Series. Westminster John Knox, 1981. 228 pages. Hamilton, V.P. The Book of Genesis: Chapters 1–17. The New International Commentary on the Old Testament. Eerdmans, 1990. 522 pages. Hyers, M.C. The Meaning of Creation: Genesis and Modern Science. Westminster John Knox, 1984. 216 pages. Watts, R. “Making Sense of Genesis 1.” Stimulus 12(4) (2004): 2–12. earth. This equality of men and women, extended to common folk, was revolutionary teaching! that problem on the first three days. solves the problem of emptiness. that, it’s a structural framework on which to hang that story. was an issue, a critical issue for them. genealogies connect Israel with Adam, to show that they have an origination. that thought and we’ll be back with part two, and we’ll carry on from there.